In this episode, adrienne maree brown joins host Kate Werning to talk about the imagination battles of our time, the conversations that need to be had beneath what we think we need, the relationship between critical connection and critical mass, how she manages her time and sense of urgency, and the transition into the new year. PRACTICE: Download the next episode (Practice 10) to do a very special New Years practice with adrienne maree brown, and learn how to write and cast a spell for yourself and your community to transition you from 2017 to 2018. You'll need 30 minutes, a clear space, something to write on, and something to write with. So many people need this support to help sustain their liberatory work, and these practices and this wisdom are not ours to sell. But we need money to continue this resource. We have radical faith that we can sustain this project on a gift economy, with the generosity of our community as our fuel. We already have 9 monthly sustainers (thank you!) and 3 one-time donors supporting the podcast -- we need 11 more sustainers before the end of the year to meet our goal. Will you give $25, $15, or $5 / month to keep this work accessible to all? And if you feel moved to donate but would prefer to make a sizable tax-deductible donation, email kate.werning@gmail.com and we will send you the details to go through our fiscal sponsor. Thank you! 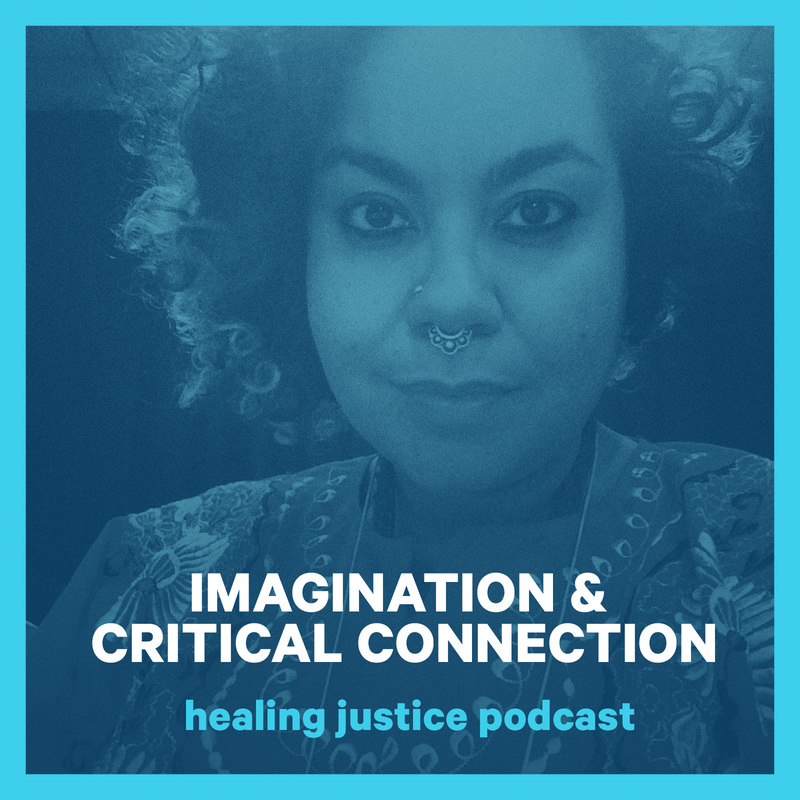 Follow us on Instagram @healingjustice, like Healing Justice Podcast on Facebook, and tweet at us @hjpodcast on Twitter -- we love to hear from you about how you are using the podcast and practices, your own struggles at the intersection of justice and healing, and what you want to hear next! We are posting inspirational quotes from our guests every day, so follow us on social media not to miss a beat of that encouragement in your day.